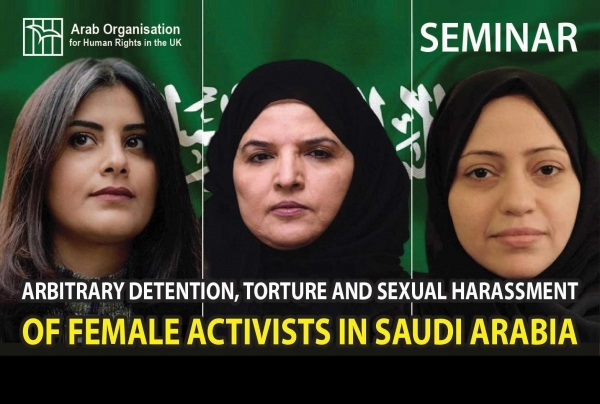 DPG partner Sue Willman will be talking at the Arab Organisation for Human Rights in the UK (AOHR)’s event Arbitrary Detention, Torture and Sexual Harassment of Female Activists in Saudi Arabia on Tuesday 22 January 2019 at 173 Euston Road, London, NW1 2BJ from 6pm. Sue will be talking about legal strategies for tackling torture and arbitrary torture of Saudi women activists. For more information and information on the other speakers for the event please see their website and the attached flier for the event.